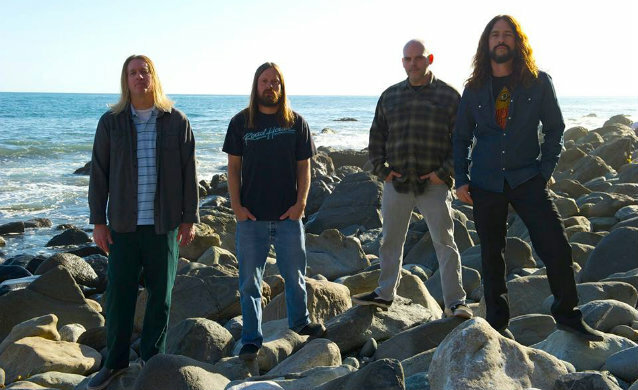 "Gigantoid", the new album from Southern California hard rock mainstays FU MANCHU, can be streamed in its entirety using the SoundCloud widget below (courtesy of Noisey). The CD will be released on April 29 via the band's own At The Dojo Records. After almost 25 years together, and following last year's Scion A/V Club split seven-inch single with friends MOAB and 2009's "Signs Of Infinite Power", Scott Hill and company return with their first full-length album in close to five years. Recorded with Andrew Giacumakis, singer/guitarist for the aforementioned MOAB at his studio in Simi Valley, California, the album features a slightly more primitive, raw and ultra fuzzed-out sound than previous releases. "We wrote 17 new songs for this record and got our favorite 9 songs out of that together," says Hill. "We were planning on releasing a 'part 2' record later this year but have plans for some of the other songs to appear in early 2015 to line up with our upcoming 25-year anniversary." In addition to the new release, the band has announced a month-long North American tour, taking the band to both coasts, and throughout the majority of the country (as well as into select cities in Canada). The song "Invaders On My Back" can be streamed below. Writing for the album began in the summer of 2012, with a break for a tour of Europe in the fall of that year and a U.S. tour in the spring of 2013, reissuing and playing "The Action Is Go" LP in its entirety and an appearance at METALLICA's Orion Music + More festival in June 2013. 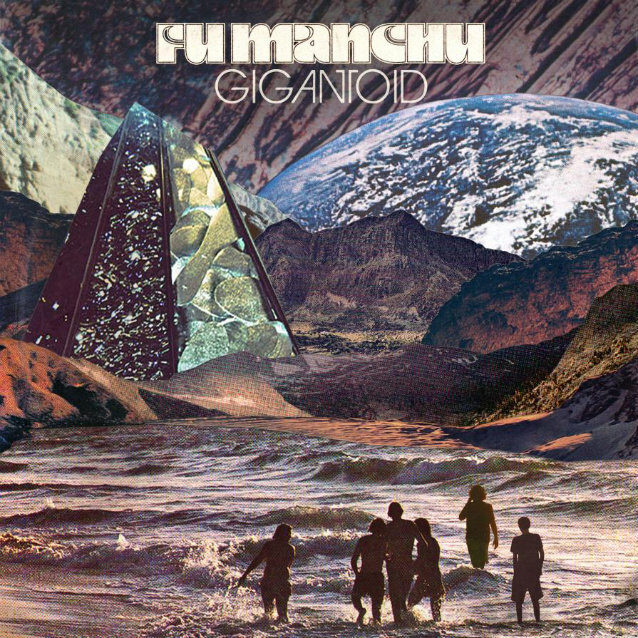 FU MANCHU soon found itself with enough material for two albums. A hint of what the new songs will sound like was released in October in the form of "Robotic Invasion", a split seven-inch single with MOAB, presented by Scion. Slower, longer and heavier than most of the recent material the band has released, the new songs find FU MANCHU exploring different time changes and heavy sonics that the band is known for, with some atmospheric and conceptual lyrics and artwork that will hopefully be tying one, if not two, new records together that the band hopes will be released this year. FU MANCHU's first full-length, "No One Rides For Free", has been reissued on At The Dojo as a gatefold vinyl. The record celebrates its 20th anniversary this year.